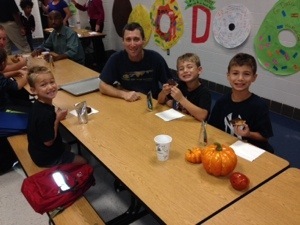 Today was the annual Donuts For Dads event at the elementary school. Kids and Dads have donuts before school. It’s always a big hit. This was the first year for Thing 3.